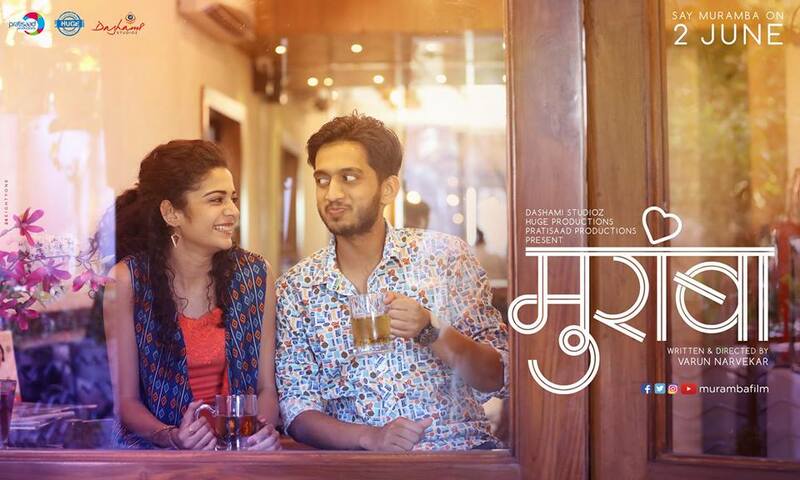 "Muramba (मुरांबा)" is an upcoming romcom (romantic comedy) movie written and directed by debutant director "Varun Narvekar". The story of the film revolve around 'Alok' and 'Indu' played by "Amey Wagh" and "Mithila Palkar" and Alok parents played by "Sachin Khedekar" and "Chinmayee Sumeet". From first teaser of the movie we can sense that "Amey Wagh" and "Mithila Palkar" are in relation with each other, In second teaser of the film Alok's mother character is introduced played by "Chinmayee Sumeet" who is very caring and a concern parent, we can even sense that Alok is going through some kind of problem and like a concern parent she is always back of him. In third teaser Alok's father character is introduced which is played by "Sachin Khedekar", he is playing a very sweet, softspoken, adorable, friendly and witty father. The fourth teaser of the movie give a hint about the movie that there is something wrong between Alok and Indu and Alok parents are helping him to sort out the issue. This kind of story we had not yet seen in any form of Marathi entertainment industry this is first of its kind, which is very fresh and new age audience may relate to it. The way teaser and trailer are shoot are very warm and soothing there something newness in it. It will be very interesting to watch this movie. The music of the film is composed by Jasraj Jayant Joshi, Saurabh Bhalerao and Hrishikesh Datar who are know to cater there audience with something new and different kind of music, they had continued there streak even in this movie in all there are four song in movie a semi classical "Maze tuze" by 'Anuradha Kuber' picturised on "Sachin Khedekar" and "Chinmayee Sumeet", "Chuktay" a rock song sung by "Amey Wagh", "Aga aik na" is a peppy track is more like a conversation sung by 'Rohit Raut' and 'Aanandi Joshi's', whose lyrics is written by lyricist Actor 'Jitendra Joshi' and the title song has nice indie-pop sung by "Jasraj Joshi" and lead actress "Mithila Palkar". The film is beautifully captured by Cinematographer/DOP "Milind Jog", sound design is done by Avinash B Sonawane, background score by Saurabh Bhalerao, art direction by Siddarth Tatooskar, Make-up by Rajesh Kubal, costumes byKalyani Kulkarni-Gugle and edited by Vishal Bate. The movie is produce by Nitin Vaidya, Ranjit Gugle, Anish Joag and Aparna Padgaonkar under the banner of Dashami Studioz, HUGE Productions and Pratisaad Productions. The Film will be releasing in theater on 2nd June 2017.